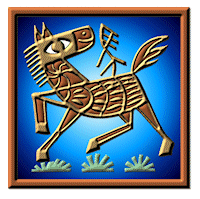 In Chinese astrology there are twelve animals (生肖 shēng xiào) each representing a year. 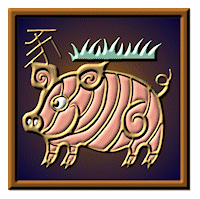 The sequence is rat; ox; tiger; rabbit; dragon; snake; horse; sheep; monkey; rooster; dog and finally pig. The Chinese year in which you were born determines which is the associated animal. As the Chinese year starts at Chinese New Year and not on January 1st, if you are born in January or February you need to account for when the Chinese year started in that year, you can check this by hovering the mouse over the year in the following list, a pop-up will show the dates of the Chinese calendar year. Each year is associated with an element as well as an animal. The Chinese ‘elemental essences’ are: Metal; Water; Wood; Fire and Earth. It takes a full 60 years before the cycle repeats itself, so for example, a ‘Metal Sheep’ year is followed in 12 years time by a ‘Water Sheep’. Only after 5 x 12 = 60 years will there be a ‘Metal Sheep’ year again. The animals represent the twelve earthly branches. 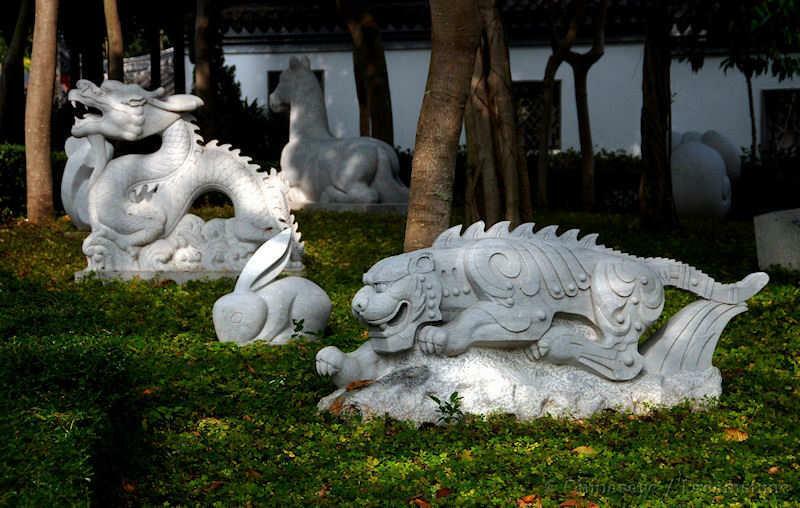 The twelve astrological years only became widely used in the Yuan dynasty. The reason for twelve animal years may come from the twelve months in a year but may actually relate to the almost 12 year orbit of Jupiter around the sun (11.86 years). The orbit was well known from very ancient times in China. However in legend it is said that God of the Golden Star reported to the Jade Emperor that chaos and confusion reigned on Earth. The God of the Golden Star 's solution was to put twelve animals in charge at different times to bring about some order to affairs. The animals formed an orderly queue but the rat jumped onto the back of the ox so it could be named first. A complete astrological reading is a complex matter as you need the year, month, day and hour of conception (not birth), this is known as the 八字 bā zì 'eight characters' as each item is written as two characters using the sexagemisal characters for recording dates. An astrologer will then be able to give predictions for your whole life. It is all taken as a bit of fun and it serves as a polite way to ask someone's age (you can usually guess which 12 year span was the person's birth year). Here are the years with the associated animal and the earthly stem. The twelve names were also used for the traditional twelve (two hour) 时辰 shí chen divisions of the day. In addition the propitious month of year and compass direction are given, taking account of these gives extra luck. 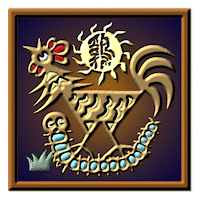 In China the occurrence every twelve years of your 本命年 běn mìng nián birth year (astrological sign) is considered an unlucky year and you are vulnerable to accidents and bad luck. This bad influence is particularly strong in your 60th year. To ward this off the ill effects you should take extra care and some superstitious Chinese wear lucky red underwear or red wrist bracelets during this year. A rat in China is not the dirty, nasty creature seen in Europe. A rat is cool; calm and charming. 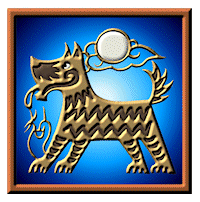 They act with integrity, vigor, curiosity, flexibility and are persistent and are careful with money. They are generous to those they love. 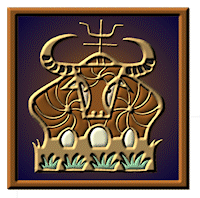 An ox is quiet and easy-going. Practical and self assured they are often successful. They often work to carefully thought out plan. They are also patriotic. As they are not outspoken they can be difficult to read and so easy to misunderstand and provoke to anger. Tiger people share the power and courage with the admired and respected animal. Tigers are thoughtful, competitive and charming and may be destined for high office but they can be selfish and offhand. Tigers have difficulty accepting orders. A rabbit is a popular creature, kind and good at getting along with people. Gifted, elegant and ambitious they are proficient at business. They are prone to melancholy and are not deep thinkers. Naturally lucky, a rabbit is skillful in handling money. 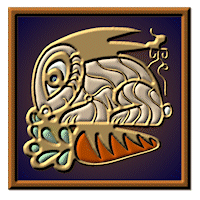 In the West dragons are supposed to be violent and evil monsters. Not so in China, they are the most powerful of creatures but are friends as much as foes, and are considered lucky. Dragons have energy, courage, tenacity and perception. 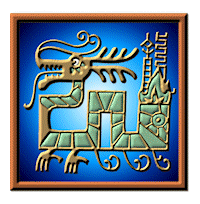 Natural leaders, dragons are healthy and prosperous, however dragons can be spiteful and prone to anger. 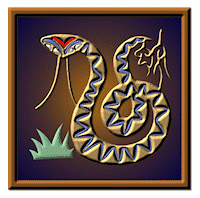 The wisdom of the snake is proverbial, and this is a snake's principal virtue. Spells of deep thinking can make them loners and independent. Acquisitive snakes are hard people to read. Wisdom with handling money makes them able at attain wealth and they are also blessed with good looks. As they are not very perceptive of those around them, they can make poor partners. A horse is cheerful and easy to get on with but impulsive and with a short temper. Horse people do not always think things through; they may choose a partner on a whim. Horses are genial, gregarious, good humored and love entertainment; they can also be good at managing money. One of the most creative people, sheep (or goats) ponder on life and can get depressed. They are not leaders and tend to be shy but look after themselves well. However their gentle nature does not indicate a lack of passion. Sheep are naturally helpful people, aiding anyone in distress. While the dragon is the ruler, it is the monkey that is held in most affection. 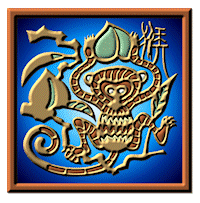 Skillful and successful, monkeys have an abundance of common sense and are fun loving. 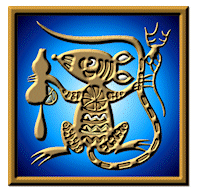 Talkative, energetic and impish they can alienate people at times. 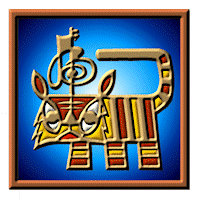 They are avid readers, have good luck and promote harmony rather than discord. A chicken (or rooster) is sociable, observant, honest and thoughtful. Ambitious, talkative and positive they are sometimes overly ambitious and seem reckless. Roosters, however can be outspoken and act selfishly. A dog in China goes not have the negative undertones that it has elsewhere. Dogs are loyal and dutiful and eager to please, which makes them good workers but rather insular. There is a tendency towards selfishness and obstinacy, dogs avoid social meetings. Warm-hearted dogs can be relied upon to help others and stand up against injustice. Like dogs, rats and snakes, pigs are not as bad as the Western association would make you think. Pigs are brave, determined and strong but prefer to work on their own. A pig's knowledge is fairly superficial and easily fooled; pigs are loving and devoted partners and friends. A well-known Chinese delicacy is bird's nest soup. The bird in question is a swallow or swift that builds a nest out of mud and saliva. The nests are harvested and warmed in water to separate out the mud particles. It is the bird saliva that gives a gelatinous consistency to the soup and a mild flavor. It is believed to have very good medicinal properties. 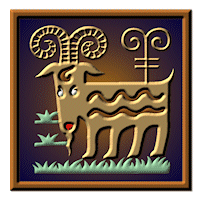 Citation information for this page : Chinasage, 'Chinese astrology and associated animals', last updated 15 Nov 2018, Web, http://www.chinasage.info/astrology.htm.